For the first time ever I am discounting my 1:1 coaching services. From now through Sunday you can purchase the following coaching packages (scroll down) at 50% OFF! I know! Crazy! Crazy awesome! This is a one-time deal and will not happen again this year or maybe ever so ACT FAST! Lately, I've been reflecting on how far I've come to get here and how unbelievably rewarding this path to health has been in my life. I grew up a mac + cheese eating, steak + potato loving, Betty Crocker cake baking kid! Loved every minute of it. Fruit appeared in the form of fruit roll ups and veggies? Well, I would eat a salad every once in a while if it were properly blanketed in ranch dressing! My journey to health began as many do after profound sickness and adding fifty extra pounds to my body. Ugh! I literally started at square one. What's a green? Why do I care? How do I make it NOT taste like fresh mowed grass? It's true. I didn't realize that brown rice was worth my time and had no idea that excesses of sugar and processed foods were keeping me chronically constipated. I thought it was normal to eliminate every three or four days. Umm, not normal, not healthy, not ok.
Having a health coach profoundly changed my life for the better. I still hear my coach, Jennifer Moiles in my head from time-to-time soothing me, asking me the exact right question. Those sessions stirred something inside of me. They set me on this beautiful, unapologetic path of extreme self care. Health coaching gave me permission to get brave with food and also to take my sweet time along the way. It seriously took me three months to ever try kale. I bought it dozens of times and let it go bad in the crisper but then one day I finally cooked those leafy babies and they've been a favorite ever since! Kale Yeah! The magic of health coaching is that it's about meeting you wherever you are and offering gentle, loving support, accountability + tools to reach your goals. Have you wondered what this health coaching thing is all about? Now's the time to give it a whirl! Have you been wanting to get on the green smoothie/ juice train but not sure where to begin? It just so happens that green in my middle name! Not really, it's Ann but how fun would that be! Are you looking to lose weight? Gain confidence? Have more pep in your step? Are your cholesterol + blood pressure numbers alarming? Let's bring those babies back into the normal range! Health coaching is giving yourself well care! Are you a former client and you'd love to re-connect and share what's new and good lately? 50% off is a most excellent reason to come on back! Are you a current client and your package is nearing the end but you can't possibly entertain the idea of stopping your bi-weekly call anytime soon? Then this is for you! This offer is good for past, present and new clients! The sale begins today and runs through this weekend! Space is limited so ACT FAST! Choose the program package that feels right for you. It's best to gauge it by the number of sessions. How many sessions would feel most supportive for you? You are welcome to buy multiple packages. PLUS! I've added a additional group program this year. 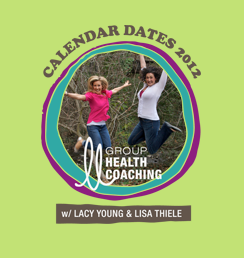 Group runs from July 31 - October 9, meeting once every two weeks at 6 pm, PST. To get to encourage, support and empower you brings me so much joy + deep satisfaction that I am doing the work I feel I am meant to do. I see this 50% off as creating more of a good thing... 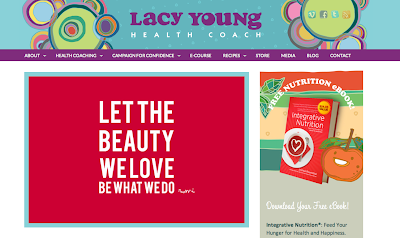 Keeps me doing the work I love and allows you access to health coaching. The perfect exchange. It feels like a really open-hearted win/win. I hope you'll agree. Of course you can email me with questions. 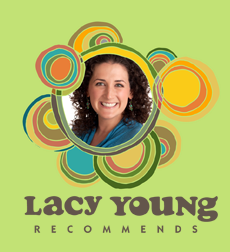 Read some of the nice things my clients are saying here. And spend some time on my website to get a better feel for coaching over here. 1. Packages must be pre-paid in full before June 28th. There are no refunds. 2. You must begin your sessions before the end of September 2013. 3. 1 month packages must be completed in 2013. 4. Yes! You may buy this as a gift for someone else + you may buy multiple packages. Pretty straight forward, right! I like to keep things as simple as possible. 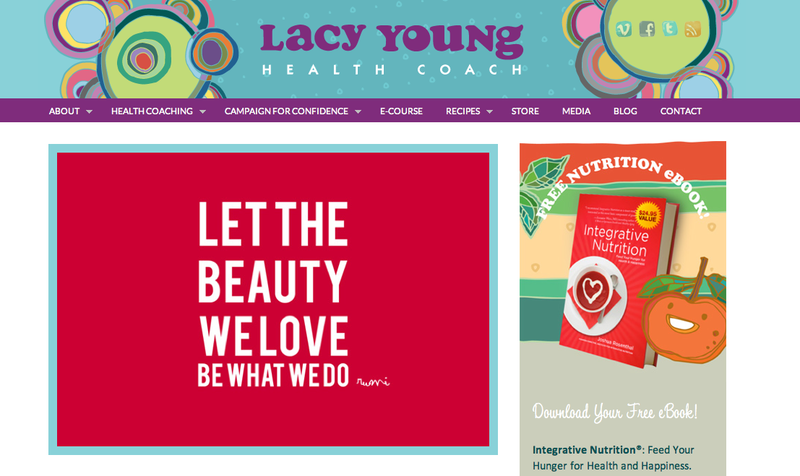 I am SO excited and proud to launch the new and improved lacyyoung.com! I know you'll find something that makes you smile! that will be growing as the days roll on by! your photo and what you love or want to love about your body! 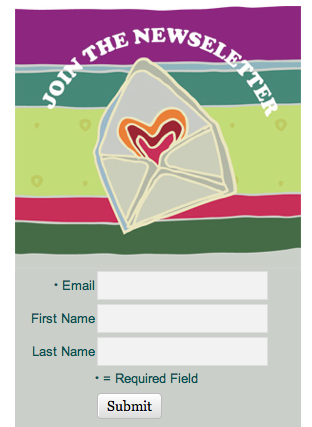 And please do sign up for the newsletter or send me a little note! 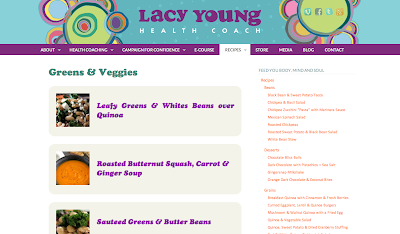 You'll get healthy recipes, tips for whole health and much more goodness delivered right to your in box. Here's to a happy and positive new little spot on the interweb!